Facebook has a new feature for Messenger users this week, rolling out to all Android and iOS devices. Called Messenger Day, it allows users to share all their happenings into a Instagram Story-like roll of videos and photos. If this sounds odd, that’s because it is. You see, Facebook owns Instagram and Instagram has Stories. The features of Stories and Day are basically identical. Users can snap a photo and add stupid stickers, or take a video and add stupid stickers or neon-colored text to that. Once you have something you think is worthy of sharing with friends, you post it to your “Day,” which can then be viewed by anyone on your Facebook friends list. The real difference is the interaction FB hopes to take place between people, which is something not pushed by Instagram. 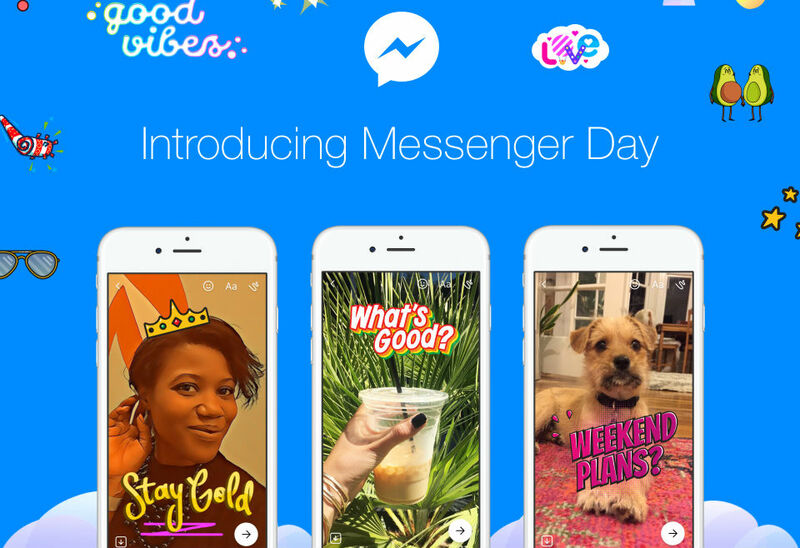 While you can comment on a post via Instagram Stories, Messenger Day is about talking and meeting up with friends. Here’s the complete rundown on how it works, should you be interested. To use Messenger Day, head on over to Google Play and make sure you have the latest version of Messenger.